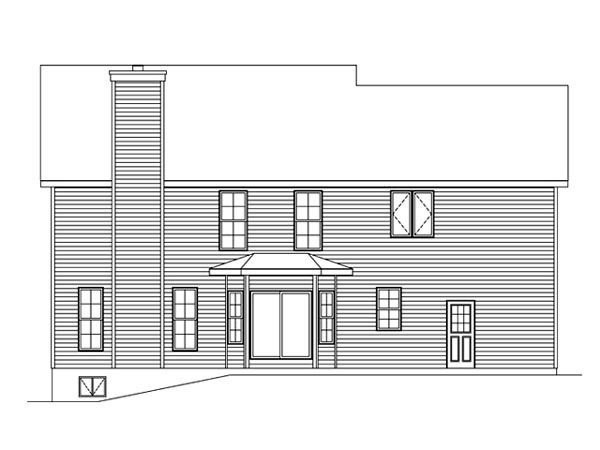 This traditional two-story house plan is designed for functional family living. With living areas arranged on the first floor and sleeping areas situated upstairs, there are spaces that encourage spending time with the family while still offering everyone a private retreat. Don't miss the pass-thru kitchen with eating bar and easy access to the cozy breakfast nook and formal dining room. 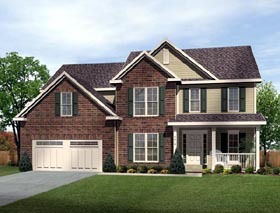 You are sure to love the family room, warmed by a fireplace. The garage offers a solution to all of your storage needs. On the second level, the master bedroom boasts a full-featured bath and a sitting room, just right for a nursery if need be. Bedrooms 2 and 3 enjoy walk-in closets and share a full bath. Bedroom 4 works well as a guest room with its private bath and walk-in closet. Practical and comfortable, this family-oriented home plan is sure to please you.